Capt. Ridge Flick, 354th Fighter Squadron Weapons and Tactics chief, poses in fornt of an A-10 Thunderbolt II at Davis-Monthan Air Force Base, Ariz., May 3, 2018. Flick was named the 2017 Air Combat Command Company Grade Officer of the Year. Capt. 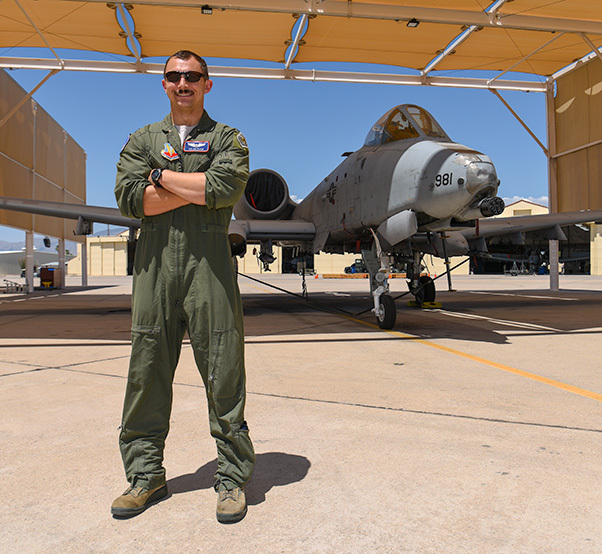 Ridge Flick, 354th Fighter Squadron Weapons and Tactics chief at Davis-Monthan Air Force Base, Ariz., was named the 2017 Air Combat Command Company Grade Officer of the Year. The ACC Company Grade Officer of the Year is awarded to an officer that shows extraordinary leadership, expertise and commitment not only in their career field, but in their everyday lives as well. Flick garnered this award for his support of the 354th FS during Operation Inherent Resolve. 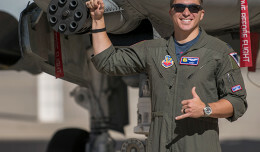 As chief of tactics during his deployment, Flick lead a strike package consisting of six A-10 Thunderbolt IIs and two F-15 Strike Eagles as well as tracked down any weapons problems in order to fix them. Because of his efforts, the 354th FS dropped more weapons on a deployment than any A-10 squadron in history. Flick’s commitment to excellence also extends to his home life. He and his wife give back to the city of Tucson by volunteering weekly at a wildlife refuge. 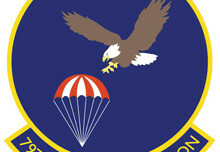 Flick and his wife have recently become certified to handle birds of prey, allowing them to further aid the wildlife refuge. Flick’s actions on and off the job truly display the Air Force Core Value of “Excellence in All We Do.” Though the award is meant for an individual, Flick believes that this triumph was a group effort.